Minister for Social Protection Leo Varadkar has apologised for delays over Maternity Benefit payments, which could see some new mothers waiting for up to four weeks for payment. He said around 1,300 women who are already on maternity leave have not received any payments. His department has said that the implementation of a new system, and the training of new staff, has resulted in the delays. There are 2,850 claims for Maternity Benefit waiting to be processed. Taoiseach Enda Kenny has said that he will speak with Mr Varadkar over the delay. Responding to Sinn Féin TDs during questions on legislation in the Dáil, Mr Kenny said that people should not be expected to wait if a scheme is in place and that he was "quite sure" Mr Varadkar was "acutely aware" of the matter. He said it was by and large a time of great excitement in a family home and the expectation was that the scheme in place would work. Mr Kenny said he would discuss the matter with Mr Varadkar and make sure that the facilities are there to pay mothers quickly in respect of their newborn children. Earlier, the minister said the backlog had built up over a number of weeks, and would continue for another "couple of weeks". Speaking on RTÉ's Morning Ireland, he said that an exceptional need payment can be paid, in certain cases, by local social welfare offices. "Everyone will get their money. They will be paid in arrears," he said. The department said it was "extremely sorry for any worry or concern being caused to customers", and that extra staff have been assigned, and staff are working overtime to clear the backlog. The department said the delays were temporary but warned some women will not receive any payments until four weeks after their maternity leave begins. Maternity Benefit of €235 a week is paid once a woman has accrued enough PRSI credits. For many new mothers it is their only income, because there is no obligation on employers to continue paying their salary. In some cases employers will top up the State payment to ensure their employees receive full wages while on maternity leave. Fianna Fáil Spokesperson for Social Protection Willie O'Dea said the delays were not acceptable. "At a time when a child is born, people have a lot to worry about and expenses. It should be paid straight away. A lot of people who come to you think it is a problem with their own case, but it is a general problem." He added: "Maternity Benefit is based on contributions, it is not a means tested, so there is no long, detailed examination. There has to be an administrative glitch somewhere in the department. "In the past we have had huge delays in processing social welfare benefits at a time when our unemployment was exceptionally high. It is very surprising that at this point in time, when the pressure on staff was never less, that this impasse seems to have occurred." In a statement, the Department of Social Protection said: "We want to assure customers that the department is making every effort to ensure that they will be paid in a timely manner and in order to alleviate delays; extra staff has been assigned and staff are working overtime. "The number of claims being processed in advance of the maternity leave date is improving – those experiencing a delay can expect to have their claim processed within a maximum of three to four weeks of commencing their leave." 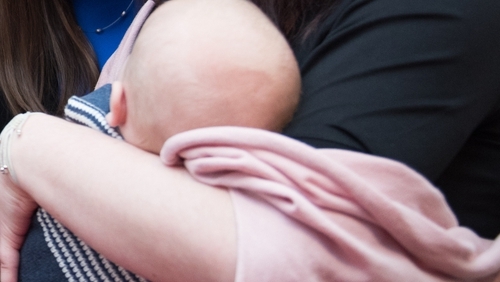 The department is strongly encouraging online applications for Maternity Benefit for any mothers to be who are planning to submit an application now or in future. The department says an automated decision can issue instantly when a customer applies online where they submit all the necessary information and where the details provided are validated.